I recently purchased a gift that is now on sale. Can I refund the difference? My friend has already redeemed my gift, can I still get a refund? 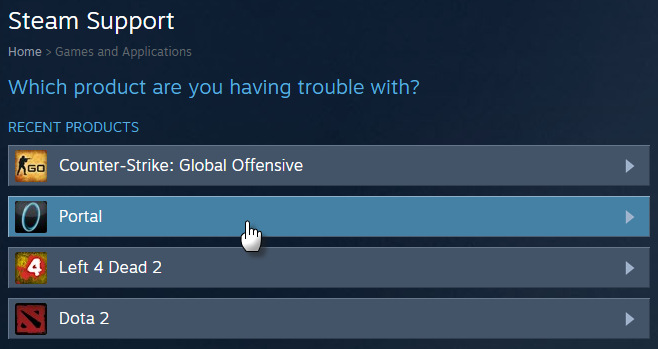 I purchased a game as a gift, can I add it to my own account? We are unable to refund the difference in price; however, you may request a refund for the initial gift and repurchase it at the current sale price. Unredeemed gifts may be cancelled and returned to your inventory. For more information on how to cancel a gift, please click here. From the menu, click "Manage Gifts & Guest Passes"
Select the "Return the gift to your account" option and click "Next"
Please note, approved refunds may take up to 7 days to appear in your account. For payment methods that do not qualify for direct deposit, refunds will only be available as Wallet credit. A refund may be issued for any gift that was purchased within fourteen days and has been played less than two hours by the gift recipient. Note: To request a refund on a Steam Gift, we will need the gift recipient to first initiate the refund and approve the removal of this purchase from their account. 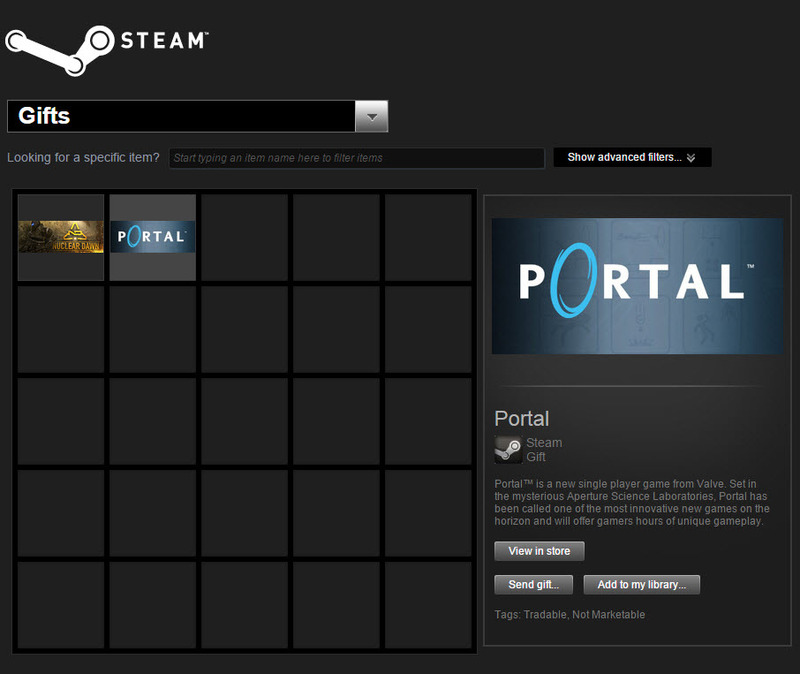 The gift recipient should go to help.steampowered.com and log in with their Steam Account. Once logged in, click on "Games, Software, etc." 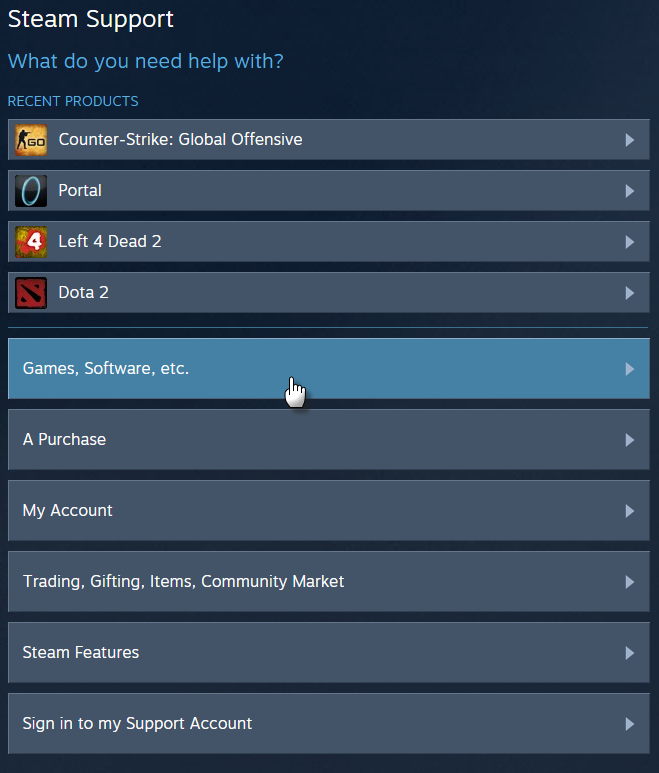 Next, click "I'd like to request a refund"
Once the refund has been verified by the gift recipient, please go to help.steampowered.com and create your refund request.